On March 20th, we said “see you later” to longtime MOI volunteer Taylor Baldry. In the five years he’s volunteered with MOI, Taylor has brought so much talent, creative energy, and joy to the MOI community. Not only did Taylor regularly volunteer with MOI’s Storytelling & Bookmaking Field Trips creating illustrations to complement the students’ writing, but Taylor also designed MOI’s recent annual report, various flyers, and logos for events—including the logos for our Night of 10,000 Young Authors and Trivia for Cheaters fundraisers. While reflecting on his time here at MOI, Taylor comments that some of his fondest memories are of the students’ brainstorming ideas for the stories they write together. Students say the most “quintessential kid things,” Taylor says. He also treasures student reactions to when they are asked for their autograph at the book release parties. The way the students’ eyes lit up giving their autograph is just priceless, he says. As a self-proclaimed “big nerd for space stories,” Taylor’s favorite book of student writing is Up, Up, and Away. 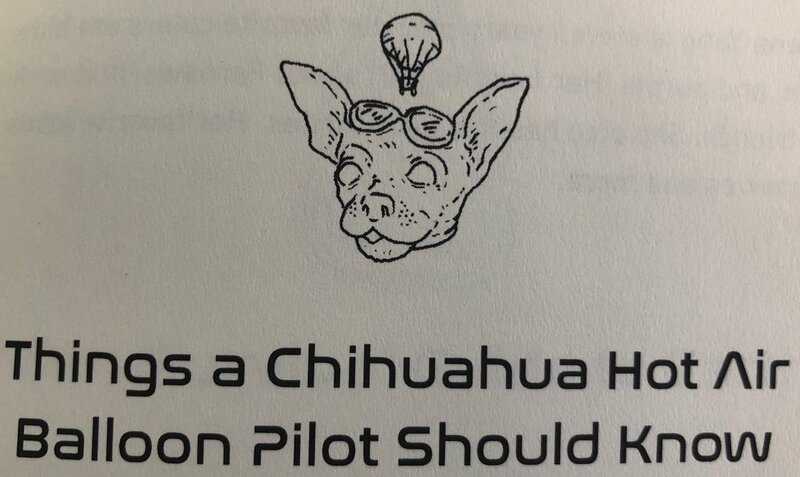 He loved creating these illustrations in particular, which included farting unicorns along with stunt planes, parachuting pilots, and Chihuahuas that fly hot air balloons. To all of you artists and illustrators out there looking for inspiration or a way to give back to the community, Taylor recommends you volunteer with MOI. “The field trips are super fun, and the kids are amazing,” Taylor says. “You have nothing to lose!” Many of us have certain people in our childhood who encouraged creativity, making us into the artists and writers we are today. As an MOI volunteer, you get to be one of those people who encourage and support the creativity of the young authors and artists of the Twin Cities. Now Taylor’s ship is sailing east to New York City where new artistic opportunities await. Taylor is excited to volunteer with 826NYC, part of the network of 826 chapters that MOI is excited to join this summer. Thank you, Taylor, for being a fintastic crew member! If Taylor inspired you to volunteer with MOI, check out our volunteer interest form. Got a question? Email Ellen at ellen@moi-msp.org. You can follow Taylor on social media all the way to NYC @MrTaylorBaldry on Twitter and Instagram.